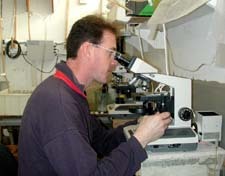 Seasalter Shellfish (Whitstable) Ltd are pioneers in mollusc culture technology. We are suppliers of shellfish seed and market size oysters, clams and cockles farmed on our freehold fisheries. The Company has been producing top quality seed for over 30 years and has a hatchery, extensive nursery and grow-out facilities situated in Reculver and Seasalter, Whitstable in North Kent, England. Prices quoted will not include delivery. Credit terms on application. In order to assist in planning production, written orders would be appreciated well in advance. Other species available to order.